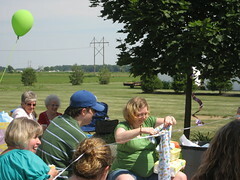 Two Sundays ago Sophie and I drove to Columbus to celebrate Cindy and Will, and their soon-to-be-here Baby Boy! 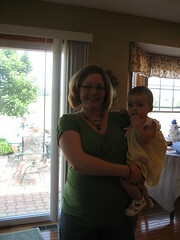 Cindy’s sister, Christy, threw a perfect shower. 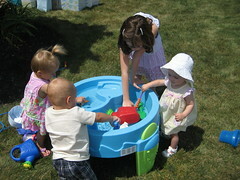 Sophie loved playing in the water table with some of the many other children who were there. 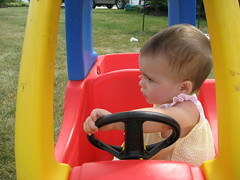 She did, however, take to driving without a problem. Congratulations, Cindy and Will! 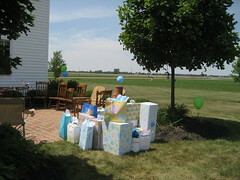 We can’t wait to meet the new member of your family! 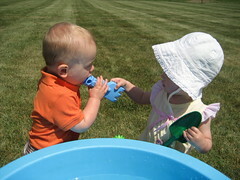 This entry was written by kara, posted on June 15, 2009 at 8:52 am, filed under Uncategorized. Bookmark the permalink. Follow any comments here with the RSS feed for this post. Post a comment or leave a trackback: Trackback URL.